La Sainte-Chapelle is a royal medieval Gothic chapel, located near the Palais de la Cité, on the Île de la Cité in the heart of Paris, France. 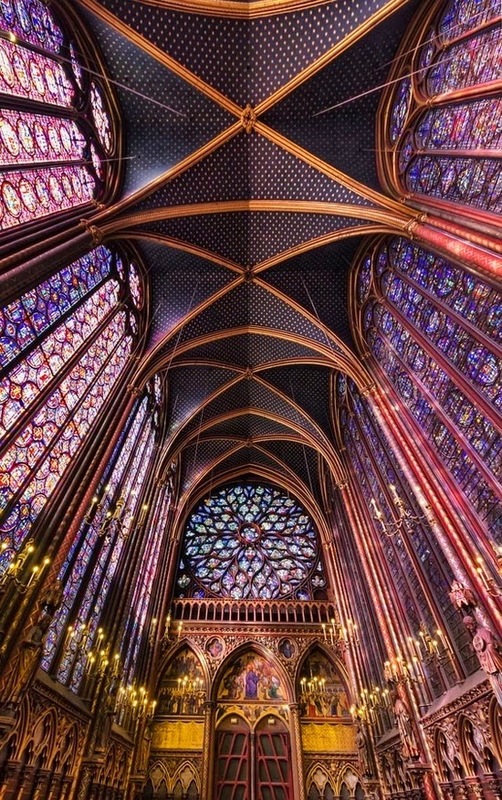 Begun some time after 1239 and consecrated on 26 April 1248, the Sainte-Chapelle is considered among the highest achievements of the Rayonnant period of Gothic architecture. Its erection was commissioned by King Louis IX of France to house his collection of Passion Relics, including Christ's Crown of Thorns - one of the most important relics in medieval Christendom. With the Palais de la Cité, today called La Conciergerie, the Sainte-Chapelle is one of the surviving buildings of the Capetian royal palace on the Île de la Cité. Although damaged during the French revolution, and restored in the 19th century, it retains one of the most extensive in-situ collections of 13th-century stained glass anywhere in the world.